With stamp prices increasing why not communicate via SMS to reduce your costs? Visit the BBC Website to read the rest of this article. 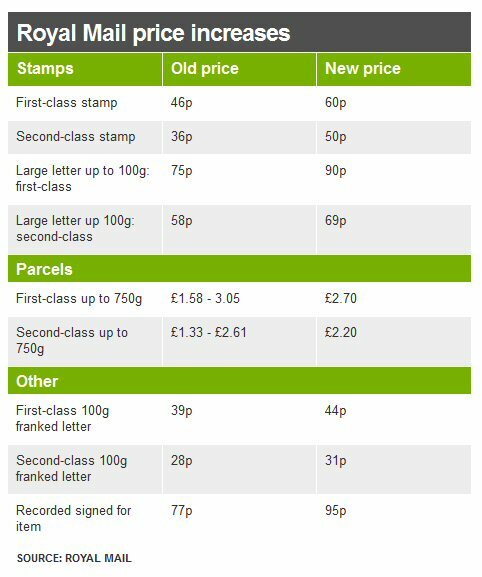 A first-class stamp will rise in price from 46p to 60p from 30 April after the regulator lifted some price controls on Royal Mail. A second-class stamp will go up from 36p to 50p – some 5p below the top price allowed by Ofcom. The regulator has allowed Royal Mail to set the price of first-class and business mail. It claimed the future of the universal service was at “severe risk” without relaxing controls.